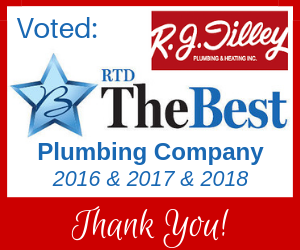 As a State Certified specialist in Backflow Prevention & Testing, R. J. Tilley Plumbing & Heating installs and certifies backflow prevention devices. In order to protect water supplies from pollution or contamination, a backflow prevention device is necessary. Basically it’s a device that prevents the backflow of water into the main water supply. Usually lawn irrigation can be a system people may be negligent about or don’t get tested. If you have a backflow prevention device, you should have it certified and tested by our certified plumber to make sure they are working properly. Annual inspection and testing of your backflow preventer is required in Chesterfield County. R. J. Tilley’s plumbers will come out and satisfy the requirements of the certification and testing for you.